UK: The Brittannia Dock will become CLdN’s UK hub, in order to create further options from/to London (Purfleet) & Killingholme. 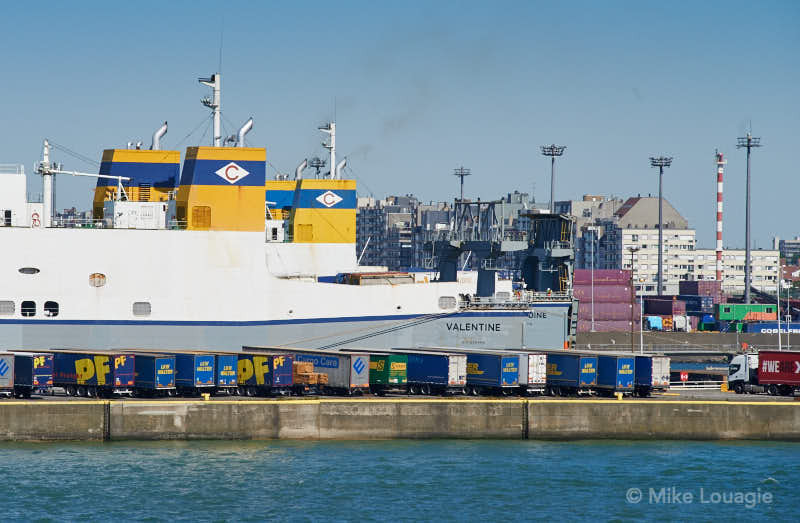 Non-UK: Albert II Dock becomes the main hub in Zeebrugge for CLdN’s non-UK related services, allowing efficient through shipments and attractive leadtimes between Santander, Göteborg, Esbjerg, Hirtshals & Dublin. 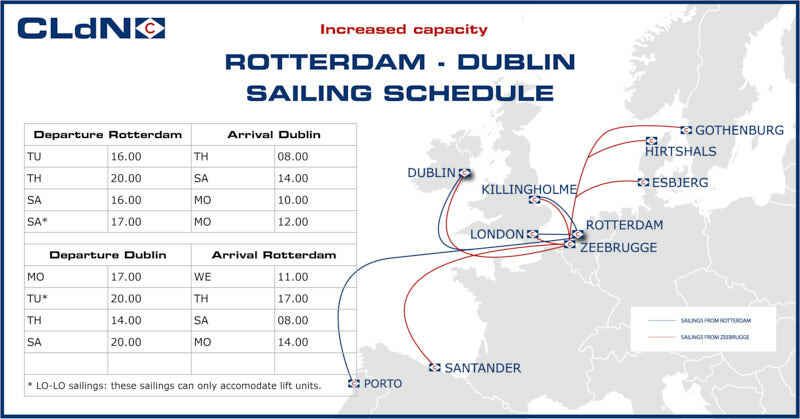 As from 26 February, CLdN increased the number of sailings on Rotterdam – Dublin from three to four in each direction, whilst improving the spread of the sailings and increasing capacity, at a time when Brexit uncertainty is a major feature in clients planning. 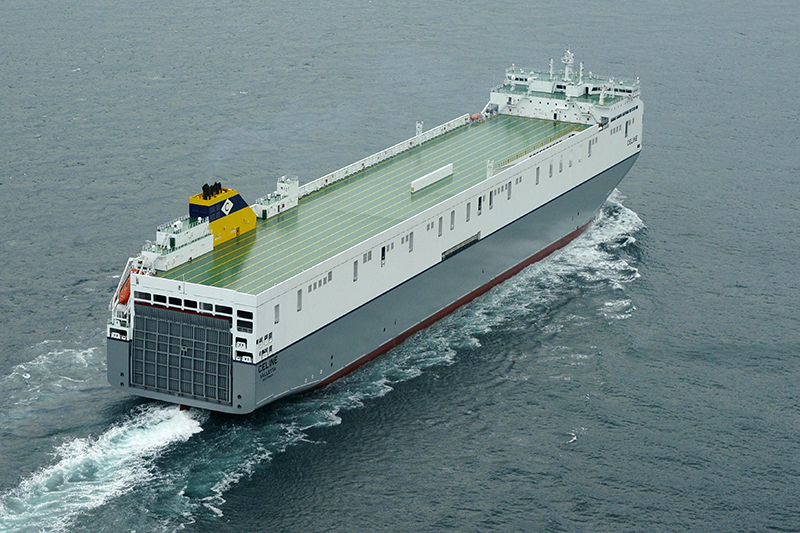 Three of the sailings will be ro-ro vessels, departing from Rotterdam on a Tuesday, Thursday and Saturday and from Dublin Thursday, Saturday and Monday. In addition one Lo-Lo vessel will sail ex Rotterdam on Saturday and ex Dublin on Tuesday. 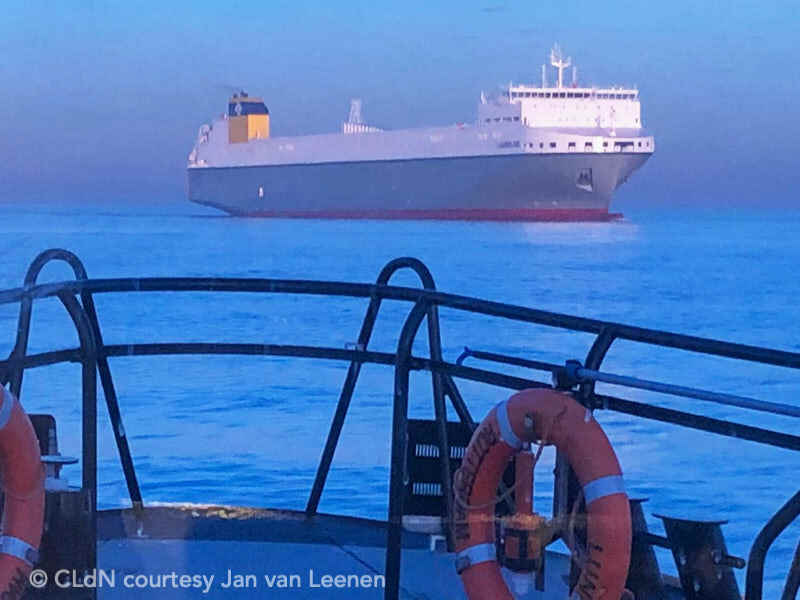 The photo (courtesy Jan van Leenen, C.Ro Ports) shows the latest addition to the fleet, the LAURELINE. After her delivery trip from Korea she arrived in Rotterdam. CLdN has made a direct pitch to the British Government in a bid to win contracts for spill-over freight in the event of a no-deal Brexit. Speaking directly to Chris Grayling, the British Government’s Secretary of State for Transport and Nusrat Ghani, the Shipping Minister, Phil Pannett, a CLdN representative in the United Kingdom told the ministers that there was no need for money, but that the ferry operator was set to deploy four new ferries in the coming months. 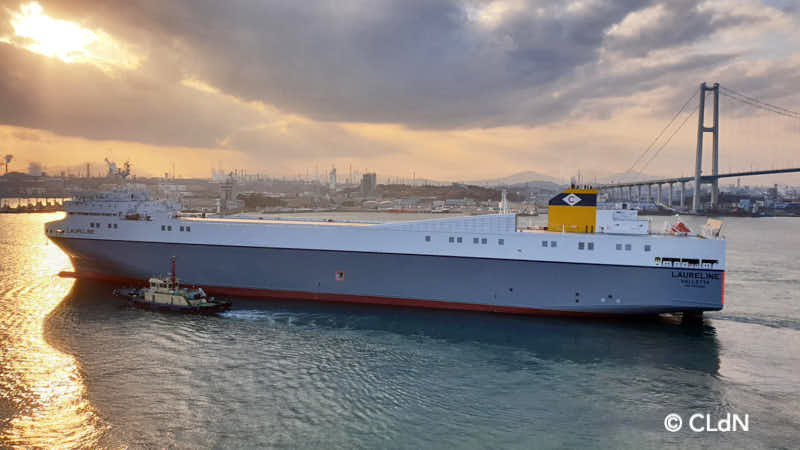 As the Brexit negotiations are drawing to a close, CLdN Cargo (part of the Cobelfret family) started sending out periodical newsflashes to their clients, in which the company explains what exactly will change and what has to be done to ensure a smooth transition. The first newsflash was sent in the last week of November. Earlier this year a truly unique event occurred. Dublin Port welcomed two of the world’s largest short-sea ro-ro vessels on the same day. That’s is almost 16,000 lane-meters, with only two ships. Attica published its H1 results, which includes Hellenic Seaways for the first time since its acquisition. The Group’s traffic volumes, considering full consolidation of HSW only for June (1.6.2018 – 30.6.2018), increased to 2.05m pax (+32.5%), 278.71k cars (+27.0%) and 167.88k freight units (+14.5%). Kongsberg Maritime has been awarded contracts with Nanjing Jinling Shipyard Co., to deliver power and hybrid systems to the nine ro-ro vessels ordered by Grimaldi Group. The contract scope includes supply and integration of large battery systems, shaft generators, frequency converters and energy management systems.